HomeWorldU.K.’s Ruling Party Is Clashing Over ‘Brexit.’ Again. February 22, 2018 Paul World Comments Off on U.K.’s Ruling Party Is Clashing Over ‘Brexit.’ Again. That objective remains the crucial dividing line as Mrs. May has to balance the demands of those who want a clean break with the bloc, like the extroverted Foreign Secretary Boris Johnson, against the preference others like the more cautious chancellor of the Exchequer, Philip Hammond, who want to retain close ties to protect Britain’s economy. Foreign Secretary Boris Johnson, left, wants a clean break with the European Union. But when she has made decisions, she has often pulled back from her more hard-line pledges. 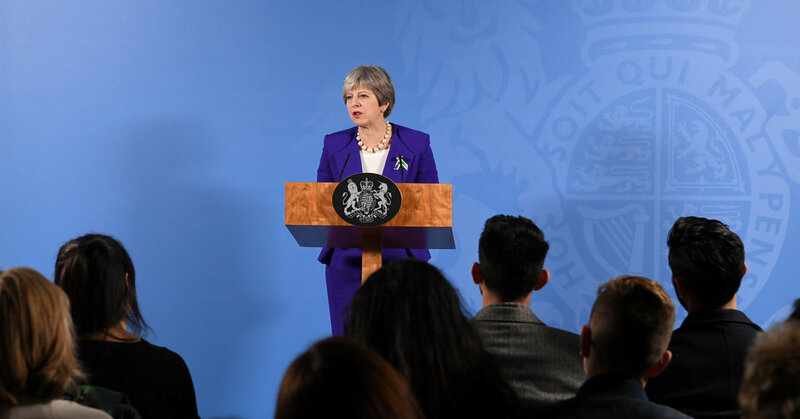 On Saturday, she retreated over her earlier insistence that Britain would not obey rulings from the European Court of Justice, accepting that the court could have a role in cooperation over security issues. Late last year she made a several concessions — including a divorce payment offer of up to 39 billion pounds, or $54 billion — to open the possibility of talks on future trade. But to many in the European Union, that sounds very much like the objective once famously outlined by Mr. Johnson: that Britain have its cake and eat it, too.